Prem Krishnamurthy and Tina Kukielski have been named Co-Artistic Directors for the second edition of FRONT International: Cleveland Triennial for Contemporary Art, which will run from July 17 through October 2, 2021. FRONT is a contemporary art triennial based in Northeast Ohio that is a collaboration with the region’s major arts and culture institutions. The inaugural edition of FRONT in summer of 2018 enjoyed wide recognition and strong attendance. Prem Krishnamurthy is a designer, exhibition maker, writer, and teacher who divides his time between Berlin and New York. 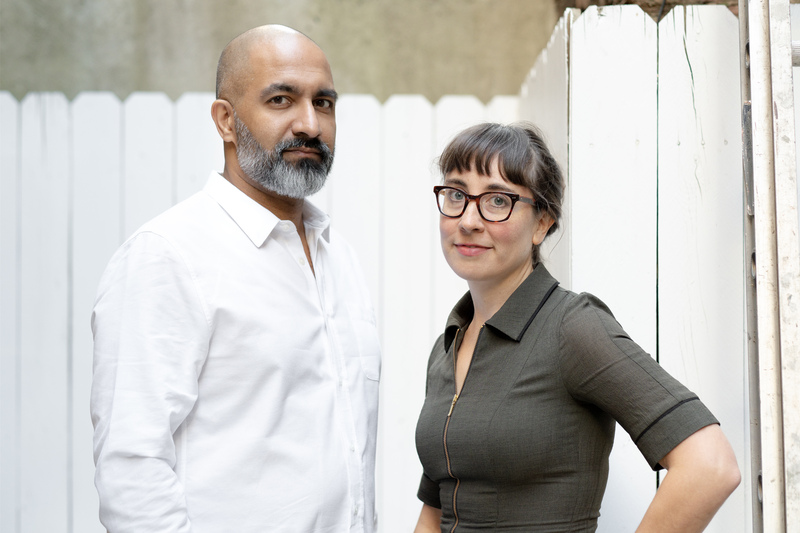 As a founding principal at the award-winning design firm Project Projects and now partner and director at Wkshps, Prem has led strategic identity, exhibition, publishing, and interactive projects with artists, architects, museums, and non-profit institutions. As an independent exhibition maker, Krishnamurthy has curated and organized numerous exhibitions and projects at galleries, museums, and other institutions in the United States, Europe, Asia, and the Middle East. Between 2012 and 2017 he founded and directed P!, the experimental “Mom-and-Pop-Kunsthalle” that was located in New York’s Chinatown. Tina Kukielski is based in New York City where she is Executive Director and Chief Curator of Art21, a nonprofit art organization specializing in storytelling about contemporary art and producers of award-winning documentary films on artists. Kukielski previously held curatorial positions at the Whitney Museum of American Art in New York and the Carnegie Museum of Art in Pittsburgh, and has independently curated exhibitions in Dubai, Milan, Naples, and Miami. She was a co-curator of the acclaimed 2013 Carnegie International with Daniel Baumann and Dan Byers.